In an Emergency Department, Doctor Harry fails to resuscitate a young woman suffering from an infected bite wound. While her body awaits transfer to the morgue, Harry is stunned to witness the corpse lurch off the bed and attack his staff. It's not an isolated incident. Lysan Plague has crossed the species divide from bat to human and mutated with devastating effect. Burning across the country in a tide of bloody violence, it overwhelms an unprepared police force and government. Bite victims re-animate as plague 'Carriers', creatures lost to conscious thought, consumed by rage and an urge to feed on the non-infected. No-one is safe in the apocalypse, and only those who are willing to fight will survive. Harry forms an alliance with several other survivors, but will it be enough for them to hold out until the Army regroups to fight back? 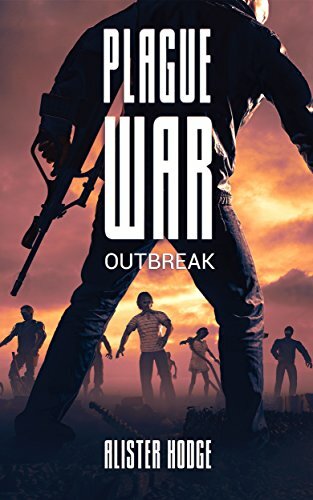 Start reading Plague War: Outbreak on your Kindle in under a minute. This is The Walking Dead on steroids. The storyline is solidly packed with full on zombie action. Plenty of suspense, drama and an unlikely band of people made me quickly read and turn page after page hoping that the characters that I had come to admire and grow to love would survive the ongoing onslaught of the undead. All I can say is what a read. Absolutely loved it!!! I was looking forward to an Aussie zombie story, but this needs refining. Story is clunky, the soldier character seems too incompetant (too far to the left of heroic, like an over correction for the hero in other novels), and the pace is a bit stilted. I ike some of the characters but how they have manged to find each other so quickly in the plot is not believabe. The yacht scene (at anchor) was the final straw. I want to continue but can't overlook my criticism anymore. 5.0 out of 5 starsZombies are back...and in AUSTRALIA! Zombies are back...and in AUSTRALIA! Great first book; it left me wanting to continue reading more. The main characters were extremely likable and carry the story well. The book is full of action. Extremely good read. 5.0 out of 5 starsInfected in Australia- what more do you want. Great to see my fave genre in a local landscape. Action packed, edge of your seat ride with repeatable characters . Ready for the next one. I loved this book, it was very gruesome and obviously written by someone who knows all the gritty details of anatomy and how Australia would cope in a zombie apocalypse. For the first time in my life I don’t feel smug living in Australia!! It was really out of my interest zone BUT I really enjoyed it and wanted more. Well done for a first book! Now publish the second so I can find out what happens. 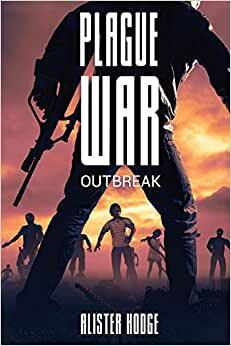 If you pick up Plague War: Outbreak you'd better get comfortable because you won't put it down. From the hospital outbreak beginning to the brutal finale, Hodge takes you on a wild ride for survival against an unstoppable zombie horde. Follow the cast of everyday heroes as they try to comprehend their world torn apart by a new undead menace. Thanks to the author - you have written a great book and seen it through brilliant editing too. Loved this book and the characters. They’re real and you brought out that beautiful Aussie spirit that makes us what we are. From a medical side I loved that you got it all so right too :) definitely a series to follow!